ID90T was founded in 2006 to provide airlines with a cloud-based solution to automate and streamline the employee travel processes. The ID90 Travel team has built a product that not only reduces operation costs significantly but also makes the employee travel experience enjoyable. Our web based platform fully automates airline employee travel which greatly reduces the costs of maintaining an airline employee travel program in-house and enables employees to self-service their travel benefits 24/7—a win-win for both airlines and employees. We continually invest in our technology to meet and exceed the needs of our airline clients and their employees. Click on an individual to read their full profile and see contact information. Previously CEO of Groople.com, Mike Stacy raised $13M in venture financing, hired an entirely new management team and oversaw the complete redevelopment of Groople’s technology, ultimately executing the sale of Groople.com to a travel management company. Prior to joining Groople, he was President of CheapTickets.com, a leading online travel website owned by Cendant. He led a turnaround which resulted in Cheap Tickets’ first time profitability and status as the fastest growing online travel site in 2004. Earlier positions included Senior Vice President of Consumer Marketing and E-commerce at Clear Channel Entertainment and five years at Travelocity, including four years as Senior Vice President of Consumer Marketing, where he led the company’s branding and customer experience efforts. While at Travelocity, Mike was twice named a Rising Star by Travel Agent magazine. Mike holds a bachelor’s degree from St. John’s University and an M.B.A. from Pepperdine University. Melinda Lawrence leads the finance and accounting operations of the company as well as preparing the corporate and financial infrastructure for the company’s continued growth. She has previously been the CFO at OneSource Virtual, a technology enabled services firm, leading them through significant revenue and employee growth, international expansion, product expansion, and a private equity capital raise of $150 million from a top tier firm. Before becoming a CFO, Melinda spent over twenty years in public accounting, most recently as an audit partner in the Dallas office of EY. While at Ernst & Young, she served companies in numerous industries including real estate, hospitality and media. Melinda earned a bachelor’s degree in Business Administration from Texas Christian University and is a certified public accountant. David Wells heads the development and IT operations for the ID90 Travel team. Previously, David acted as Director of Software Development for VMR Products, where he was responsible for development and operations. Additionally, he was an IT Manager at Travelocity; leading distributed development teams in the EU, India, Argentina, and the U.S. He helped support existing products for flights, hotels, and packages, along with developing new global systems to power the offerings for those products across multiple locales and white labels. David spent 10 years at Getthere.com, a leading corporate booking tool that connects with all major global distribution systems and processes more than 12 million transactions annually. He relocated to Sydney Australia for 2 years and recruited and lead a team of 15 to deliver a new administration tool and APAC region product initiatives. As ID90T’s Director of Global Sales and Client Management, Martin is responsible for our global growth plans as well as leading ID90 Travel’s client relations. An ID90T veteran, he joined ID90T after heading Telecom Personal’s Project Management Department, as well as a, having worked at Sykes Enterprises serving various roles within both IT Operations as well as Business Development. He brings an extensive background in Development, Project & Program Management and overall IT leadership after having worked closely with Microsoft, Google and TIM as key strategic partners within the LATAM region. At Sykes, Martin led the efforts to integrate the Argentina Operations into Sykes’ Service of Excellence platform and was Client Director for both Expedia as well as Yahoo’s Argentina operations. Martin holds a BS in Architecture from the University of Texas at Austin as well as the Catholic University of Cordoba and has also completed post graduate degrees from Cornell, the Wharton School of Business and ICDA. Martin holds an MBA from IE Business School. David Bohnett is a philanthropist and technology entrepreneur. He is currently serving as Chairman of the David Bohnett Foundation, Chairman of the Board of the Los Angeles Philharmonic Association, Board Member of the California Community Foundation and Trustee of amfAR (The Foundation for AIDS Research) and the Los Angeles County Museum of Art (LACMA). In 1994, he founded GeoCities, a media company that was once ranked one of the four most trafficked sites on the Web. GeoCities became publicly traded on NASDAQ and was acquired by Yahoo! David has been an active partner in Xdrive.com, Wireimage.com, Stamps.com and LowerMyBills.com, and held various positions in the software industry for Legent and Goal Systems. He started his career as a staff consultant with Accenture (then Anderson Consulting) in Los Angeles. His academic credentials include an M.B.A in Finance from the University of Michigan and a B.S. in Business Administration from the University of Southern California.David’s many awards and distinctions include Los Angeles Business Journal’s Technology Leader of the Year, Time Digital’s Top 50 Cyber Elite, and Entrepreneur of the Year for Southern California. He and his significant other currently reside in Beverly Hills, California. In addition to a large reservoir of solid business skills and judgment, Jeff brings a wealth of knowledge, experience, and connections in the transportation and distribution space where he spent the bulk of his career. Located in Dallas, Jeff spent 14 years with American Airlines, managed the legal separation of Sabre, Inc. from AA and left to become EVP and Chief Financial Officer of the stand-alone company in 1998. Over his 13 years at Sabre, both as Chief Financial Officer and as EVP Corporate Development, Jeff managed the Sabre initial public offering, completed over 25 acquisitions and divestitures of over $8 billion in value, served on the Board of Travelocity, managed the globalization of the Sabre organization, and completed sale of the company to a group of private equity firms, thereby taking Sabre, Inc. private. Currently, Jeff serves on the Boards of Rent-A-Center, a $2.8 billion public rent-to-own retail space company and of Getty Images. Jeff is a graduate of Dartmouth College and has an MBA from the Northwestern’s Kellogg Business School. He serves as Chair of Parents Advisory Committee of Carleton College and as an ex-officio member of the Board of Trustees. Peter Lee is a Partner at Baroda Ventures and was previously an investor at Clearstone Ventures and Prism Ventures. Prior to entering venture capital, he was the Vice President of Operations and Product Management at Goldpocket (acquired by Ericsson), a startup developing a platform for creating, distributing and managing interactive TV digital media systems. Earlier, Peter was a manager with McKinsey, where he focused on the digital media, consumer electronics, and internet industries. He also worked as a product manager at Microsoft in their wireless device group as well as at Virtual Ink (acquired by Dymo Corp), a venture-backed startup in the consumer electronics and internet space. Peter earned his BS and MS in engineering from MIT where he was elected into the Tau Beta Pi Honor Society and was awarded a full-tuition graduate fellowship. He also holds an MBA, with Honors, from Harvard Business School. Peter currently resides in Los Angeles with his wife and 2 boys. Mr. Rand has over 18 years experience starting and managing technology-related businesses at both startups and large corporations as well as investing in companies and funds both in the US and abroad. Prior to joining Sun Mountain, Mr. Rand founded Knogee a semantic search company, ran business development for Intel’s consumer electronics group, launched and managed the product marketing and standards team for Intel’s blade based server initiatives and led product management at semiconductor start-up Netboost (acquired by Intel). Mr. Rand also has extensive business consulting experience having worked at Ernst and Young early in his career and as an independent consultant brought in by investors and the board to work with start-ups on strategy and operations. Mr. Rand has an MBA from the Harvard Business School and a dual BA in computer science and mathematics from Cornell University. Mr. Rand is a Board Member of Sun Mountain portfolio companies Skorpios Technologies, TriLumina Corporation, Comet Solutions, JackRabbit Systems, KiwiLimon, Mastretta, iD90t, and FINAE. Mr. Rand also serves on the Limited Partner Advisor Committee of a number of private equity funds and is a member of the Arrowhead Innovation Network Advisory Council at New Mexico State University’s Arrowhead Center. Mr. Diaz is the Founding Partner of Gerbera Capital, an investment platform specialized in Private Equity/Venture Capital in Mexico and Global portfolio management with a value focus. Prior to Gerbera Capital, Mr. Diaz was the CFO of Grupo Diestra, a leading private Mexican group with interest in the apparel, tourism and real estate industries. With more than 15 years of experience in investments, Mr. Diaz has founded several businesses in the last 10 years, including Metroscubicos.com and Rocher Holdings among others. Mr. Diaz worked as an Associate in New York with Bassini, Playfair + Associates (former arm of CSFB) in its Latin America Fund and as an analyst with Ferco Partners in the first LBO fund launched in Mexico in 1991. Mr. Diaz has been a Board Member of Banco Bital and Grupo Financiero Bital, the fourth largest financial group in Mexico prior to its acquisition by HSBC, and currently serves on the Board of several companies and funds, including 3 FICA (FOCIR) Funds and Vertex Private Partners CKD. Mr. Diaz was the first Chairman of the VC Committee and Member of the Board of AMEXCAP (Mexican Association of Private Equity and Venture Capital). Alonso has been a professor of Securities Law at Universidad Iberoamericana (UIA) where he received his Law Degree and also has taught Economics at the Universidad Anahuac del Sur. Mr. Diaz studied Economics at the Instituto Tecnologico Autonomo de Mexico (ITAM), participated in the GMP program of the School of Hotel Management at Cornell University and holds an MBA from the Amos Tuck School of Business at Dartmouth College. Montie Brewer was President & CEO of Air Canada from December 2004 till April of 2009. Under Mr. Brewer’s leadership, Air Canada became an industry innovator in pricing, sales, distribution and onboard product. Mr. Brewer joined Air Canada in April 2002 as Executive Vice President, Commercial. An industry veteran, Mr. Brewer has held senior positions at United Airlines, Northwest Airlines, Republic Airlines, Braniff and Trans World Airlines. He has planned and developed over 20 hub operations worldwide, managed low-cost airline operations as President of United Shuttle and successfully restructured the route networks of three carriers. While at United Airlines, Mr. Brewer acted as a key negotiator in the founding of Star Alliance, of which Air Canada was also a founding member. Mr. Brewer is a Member of the Board of Allegiant Travel Company and Aer Lingus and is also Vice-Chair of the Canadian Tourism Commission. Previously, Ms. Misunas was CEO of Reed Travel Group, a global publishing enterprise. During her tenure at Reed, Ms. Misunas oversaw several businesses including publications such as OAG, Travel Weekly and Weissmann Travel Reports – as well as technology, services and marketing units such as TravelNet, Utell International and ABC Corporate Services. She also served on the Executive Committee of the World Travel & Tourism Council (WTTC). Ms. Misunas started her career as a reservations sales agent for American Airlines in Washington, D.C., and quickly moved into the newly created AA marketing organization which supported the sale and implementation of the Company’s SABRE computer system to the retail distribution network of travel agents and related suppliers. Advancing through the SABRE organization, she served in worldwide sales, service, operations, and business/product development positions. In 1988 Misunas was named an Officer of the company and President of the SABRE Travel Information Network. In that role, Ms. Misunas created a high-impact marketing team and established business locations and relationships throughout the Americas, Europe and the Pacific Rim. She was appointed President and CEO of The SABRE Group and SVP/CIO of AMR/American Airlines in 1993. She currently serves as board Director at Tech Data Corp in Clearwater, FL. As well, she is an advisor for several businesses, councils and academic institutions. Prior Director roles include Travelocity.com, Canadian Tire Corporation, ezRez Software, Saturn Reservations Systems, Imbot, and Genispace. In 1992, she was awarded the YMCA “Woman of the Year” title, and holds various awards as CRS Person of the Year. Her passion for the outdoors has taken her to the summit of Kilimanjaro; the finish lines at the New York City, Paris and Chicago Marathons; and most recently treks to Everest Base Camp, the Peruvian Andes and the Alps. Ms. Misunas attended Moravian College, majoring in French and Political Science and studied French at the Alliance Francaise in Paris. Her academic background also includes advanced business curricula at American University and Executive courses at the University of Virginia’s Darden School and the University of Pennsylvania’s Wharton School. She has also participated in Director education at Harvard Business School and The University of Georgia. Ms. Misunas resides in New York City. Formerly an industry leading CEO with a prominent public profile and exceptional international achievements delivered within a blue chip environment across a range of sectors including within travel, transport, IT and telecommunications. Now a Business Mentor, helping late early stage start-ups in Travel & Tourism make their way. He has unique mentoring skills and experience for founders. His board level insight into the develop of strategy and good governance especially in travel is a plus for our company. Donald also has strong track record of delivering results by developing empowered teams and wide experience of different styles, national cultures and industries. Finally, but not less important He is recognized as an energetic industry thought leader. Chairman of the Board of Directors of Virgin America Inc., and Porter Aviation Holdings Inc. and its subsidiary Porter Airlines Inc., and has had a long and distinguished career in aviation, and brings strategic and airline operating expertise to the ID90T team. Mr. Carty retired in 2003 as the chairman and CEO of AMR Corporation and American Airlines. He had served in that position since 1998. Prior to that, he served as president of AMR Airline Group and American Airlines. Between 1989 and 1995, Mr. Carty was executive vice president — finance and planning for AMR and American Airlines. Mr. Carty had been American’s senior vice president and controller before leaving the airline in March 1985 to become president and CEO of CP Air in Canada. In March of 1987, he returned to American and was elected senior vice president of airline planning. Before joining American, Mr. Carty spent 7 years in various management positions with Celanese Canada, Ltd., Air Canada and the Canadian Pacific Railway. Mr. Carty is a recipient of an Honorary Doctor of Laws from Queen’s University. In addition to serving on the Dell Board of Directors, Mr. Carty is also a director of Barrack Gold Corp., Sears Holdings, CHC Helicopter Corp and Big Brothers Big Sisters of America. In September of 2002, Mr. Carty was appointed by President Bush to the National Infrastructure Advisory Council, where he served until the summer of 2005. In January 2003, he was named an officer of the Order of Canada. Mr Carty is a graduate of Queens University and Harvard Business School. Cindy Estis Green’s career spans thirty-five years in hospitality. Ms. Estis Green served Hilton International as head of corporate marketing information systems and research and as a hotel general manager. After starting up the data mining and marketing analytics consultancy, Driving Revenue, and selling it to Pegasus Solutions, Ms. Green spent ten years as managing partner of The Estis Group providing strategic marketing consulting to hospitality organizations. Co-author of AH&LA’s 2012 Distribution Channel Analysis: A Guide for Hotels, she was named one of the top 25 greatest minds by HSMAI and inducted into the Hospitality Technology Hall of Fame in recognition of her many contributions to sales and marketing technology. A past-Chair and board member on the HSMAI Foundation, she is also a current member of the HITEC Advisory Council and the HSMAI Resort Advisory Council. 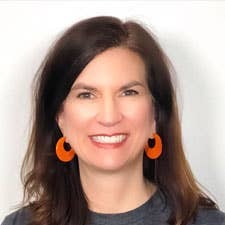 Cindy Estis Green holds a BS from the School of Hotel Administration at Cornell University and an MBA in Marketing from The American University. She launched Kalibri Labs in 2012 offering data analytics, data modeling, and intelligence services to the hospitality industry. John McCulloch was until recently Managing Partner of the Oneworld airline alliance, the global headquarters of which was established in Vancouver in June 2000. Prior to this he worked with HSBC as Head of Group Marketing in London, after spending 15 years with the Swire Group based out of Hong Kong and Japan, working primarily in the airline industry with Cathay Pacific Airways. He has a law degree from Cambridge University, and has lived or worked in most countries in the Asia Pacific region, traveling extensively particularly for his work with oneworld. His wife Yuko is Japanese and has a PHD from Oxford University, specializing in Developmental Psychology. He now runs his own consulting and business advisory business, is a Senior Advisor for Seabury Consulting and Aerospace, and otherwise devotes time to volunteer activities particularly in the disabilities sector. Jeff is a seasoned executive with a successful track record and a demonstrated ability to lead in diverse industries within both the private and public sectors. Currently, he serves as the CEO of Surf Air, a new startup aviation company based in California. Concurrently, he serves as Co-­‐Chairman of Splickit, an early stage mobile tech company that he is also an investor. Previously, he was Chief Operating Officer for Intrawest, LLC and also held the title of Chief Executive Officer for one of its portfolio companies, Alpine-­‐CMH. Intrawest is a hospitality company that owns and operates six ski resorts in North America, Club Intrawest (Timeshare Company), the Honua Kai Resort in Hawaii, and Alpine–CMH among its primary holdings. Alpine–CMH is the world’s largest heli-­‐skiing company with twelve private lodges in Canada and its own fleet of forty helicopters. Before coming to Intrawest, Jeff was Chief Executive Officer for Exclusive Resorts, LLC where he led the largest Luxury Destination Club through the most challenging economic times in recent memory. He remains a member of the Board of Directors for the Steve Case owned company. Prior to joining Exclusive Resorts, he was President and Chief Executive Officer of Frontier Airlines and a member of their Board of Directors. He originally joined Frontier in 1995 as Vice President of Marketing. He also held the CEO title with Vanguard Airlines in early 2000. During his tenure as CEO for these companies, each was successful and noted for their financial success, unparalleled service and product quality, brand awareness and image that exemplified corporate differentiation, strong corporate cultures that created employee commitment and loyalty, and a commitment to positive results with strict abidance to sound corporate integrity. Reflective of his leadership success, he has been named Entrepreneur of the Year in 2003 by Eastern Washington University, CEO of the Year in 2005 by Colorado BIZ Magazine, Business Person of the Year in 2006 by the Public Relations Society of America and received the Governor’s Tourism Award in 2007 for his individual efforts on the behalf of tourism for the State of Colorado. He also remains active in the aviation, travel and tourism sectors by serving on the advisory boards for three new leading edge tech startups that are all now active with their respective products. In addition to these advisory roles and his Board position with Exclusive Resorts, Potter is active in the community and holds board positions with Colorado State Bank and Trust, Junior Achievement , the Center for American Values and the Metropolitan State University of Denver Foundation. Potter attended Washington State University and Eastern Washington University. He currently resides in Colorado with his wife, Kelly and has three grown children. In his free time, Potter enjoys travel, reading, golfing, racquetball and cooking.